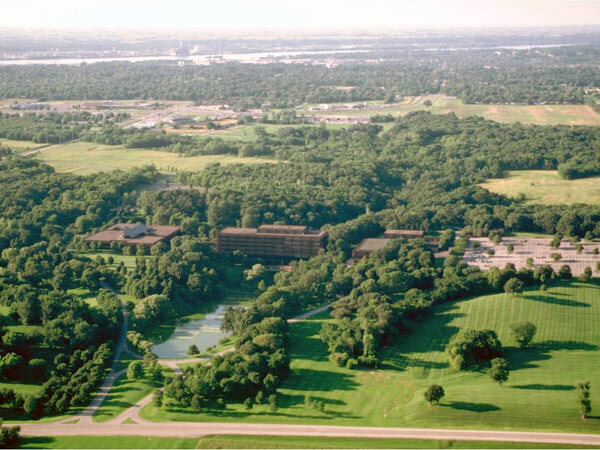 Begun in 1959 and opened in 1964, the 1200-acre corporate campus is situated just north of the Rock River floodplain on hilly, wooded land. 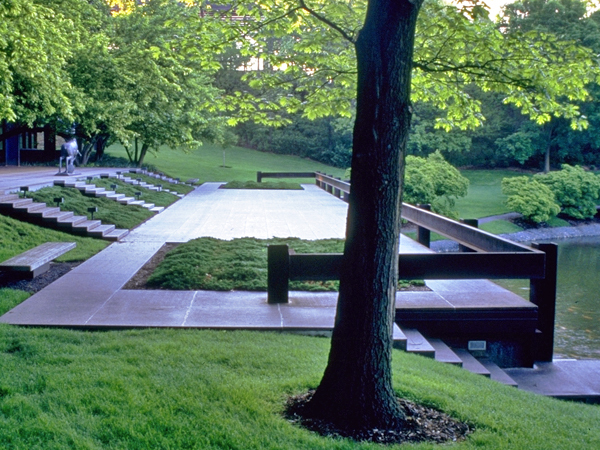 The collaborative design for the site, between Eero Saarinen Associates (completed by Kevin Roche and John Dinkeloo after Saarinen’s death) and Sasaki Associates led by Stuart O. Dawson, is carefully calibrated to unite building and landscape. 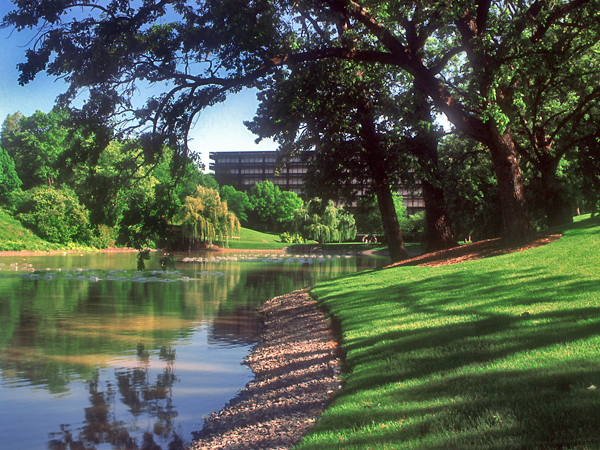 The main administrative building bridges across a natural ravine, with two lakes that step down from the building towards the river. 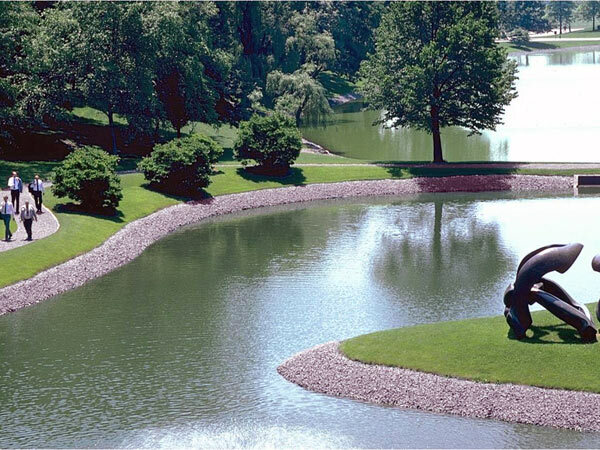 The small upper lake with its biomorphic-shaped island serves as a focal point from different levels inside, while the larger lower lake aids with stormwater management and offers a gravel walking path around its perimeter. 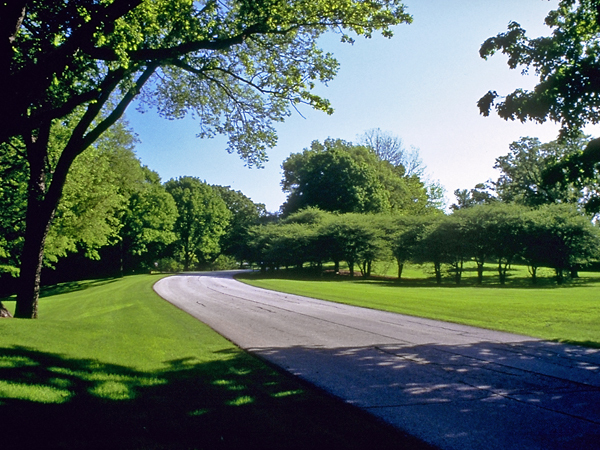 Paving has been kept to a minimum, with curvilinear roads nestled into the landscape and parking set on plateaus out of sight from the building. 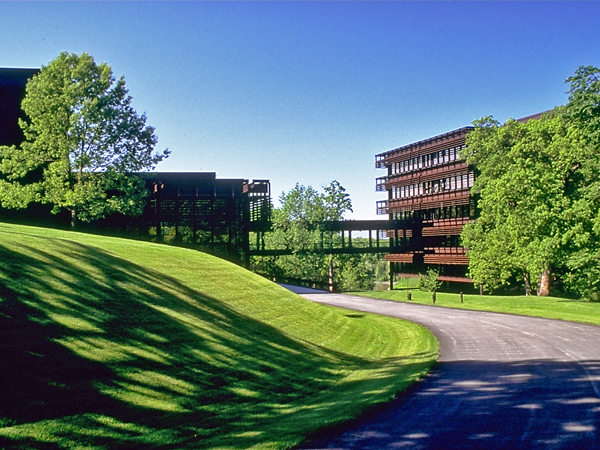 The initial plan included manicured rolling lawn close to the building and meadow grasses and groundcover further out. 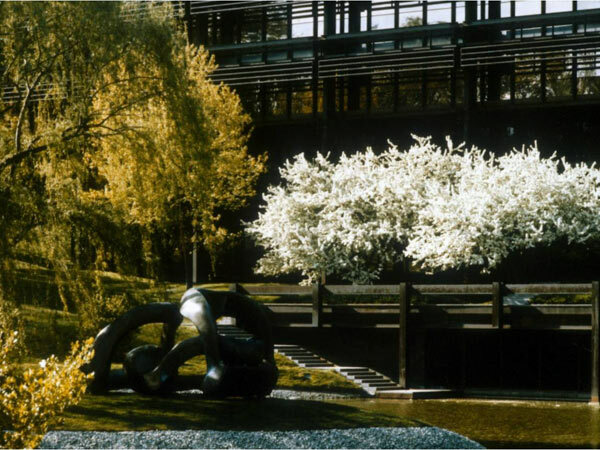 These planted surfaces were set with Modern sculpture adjacent to existing native oak, maple and elm trees and supplemented with more than 1000 additional deciduous trees. 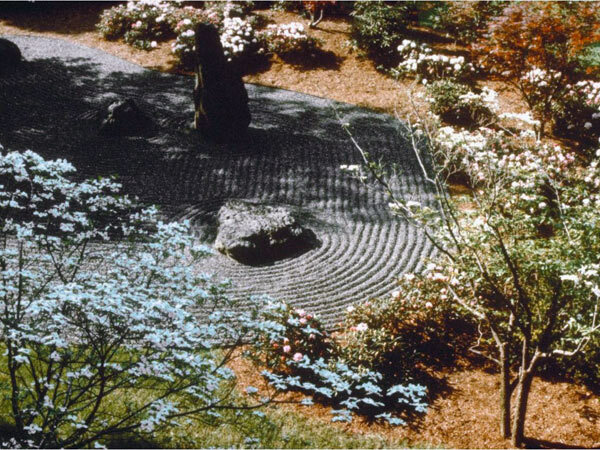 Later additions include a Japanese-style stone garden with spring-flowering dogwoods and maples, the installation of Henry Moore’s sculpture Hill Arches on the island, a new building west of the main office building, and a ten-fold expansion of the area maintained as lawn, converted from meadow and woodland.